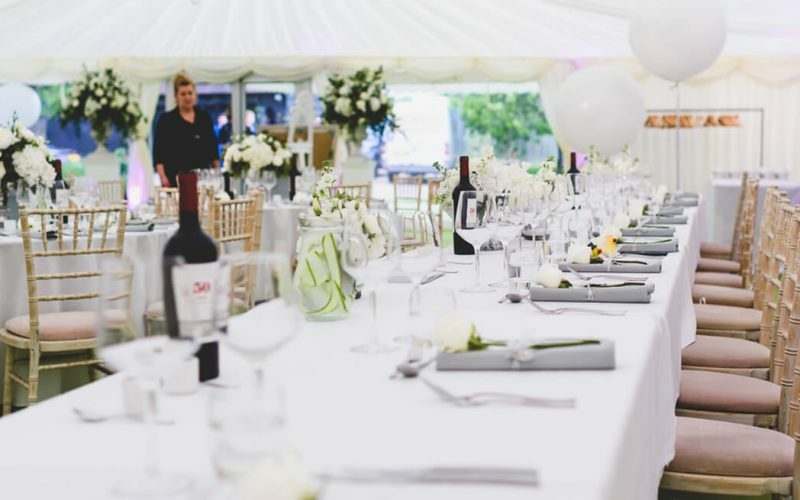 … a simple and stylish wedding reception at the family home for 125 guests. 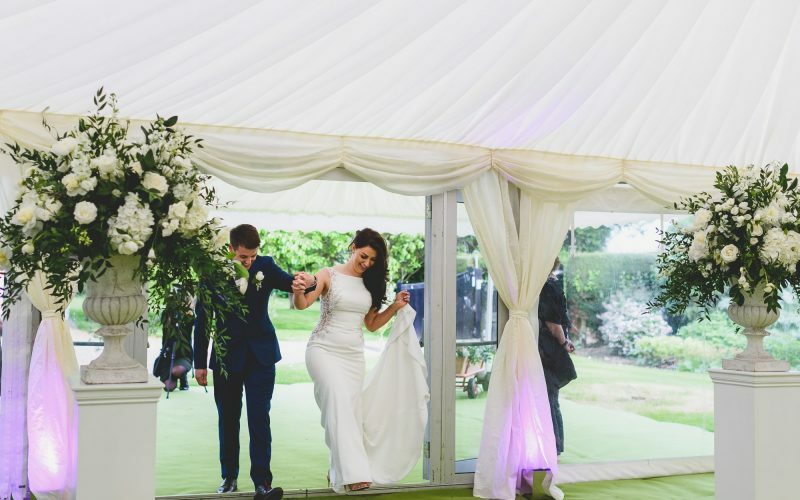 … a fabulous day co-ordinated by our very own wedding co-ordinator. 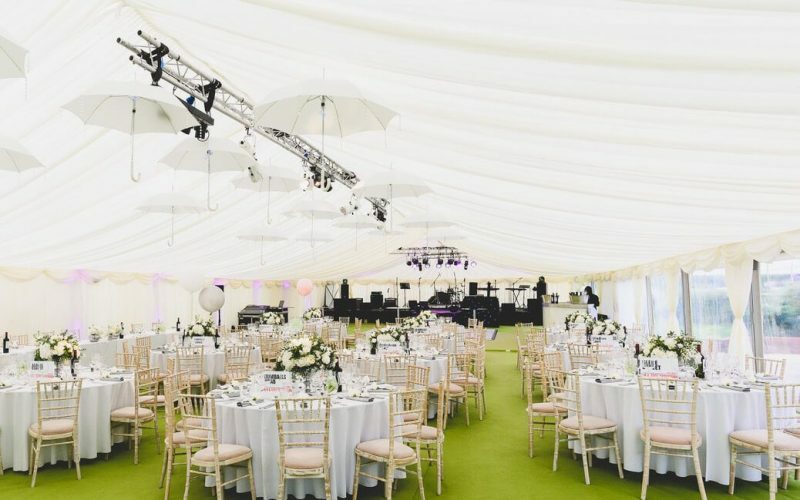 The marquee was set up on the lawn at the family home with a Pagoda entrance and was lined in ivory pleated linings with a light green carpet as floor covering. 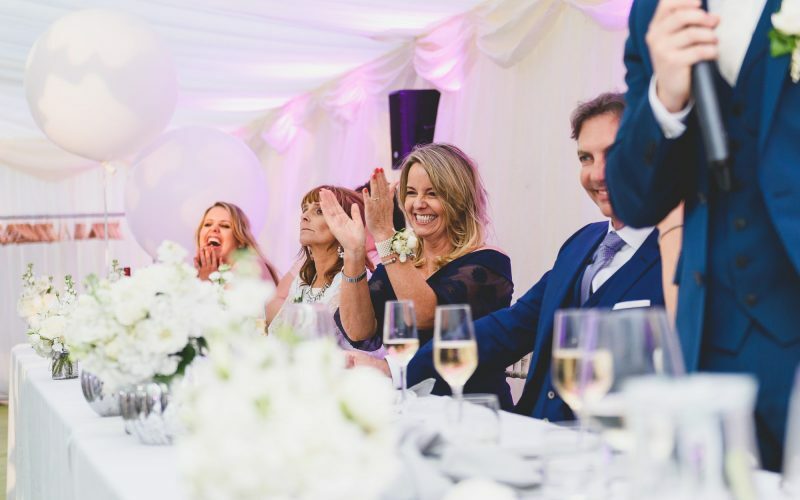 Round tables, chiavari chairs, a pea-lit dancefloor, LED bar and poseur tables were all well placed for the entertainment of the evening – the bride’s father’s band, ‘The Covered’. Special staging and lighting was hired in for this purpose. 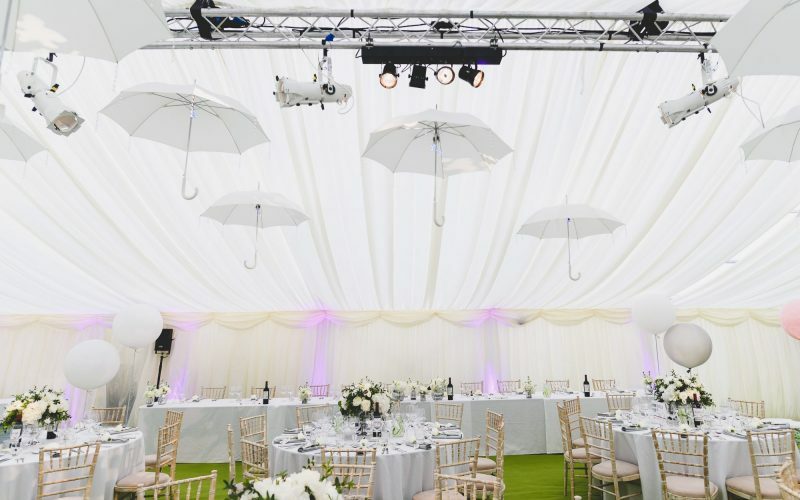 As the weather was not looking good, a ‘short notice’ Pagoda was placed outside to serve drinks, erected on the morning of the wedding! 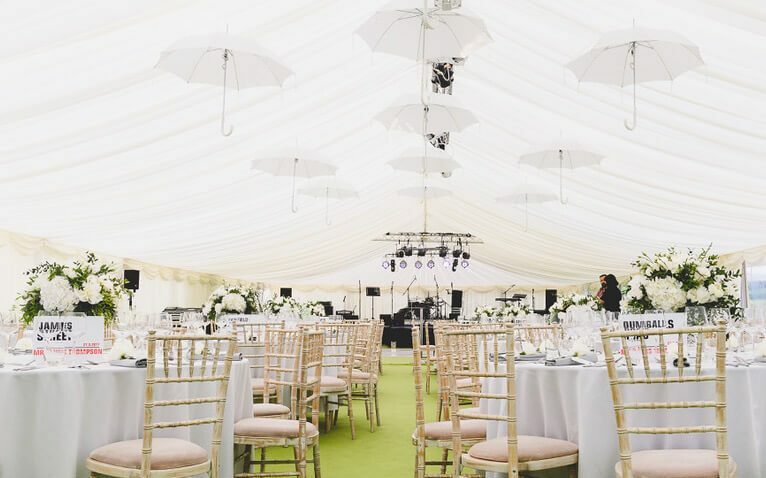 The interior featured floral arrangements with cream roses and suspended cream umbrellas from the ceiling. 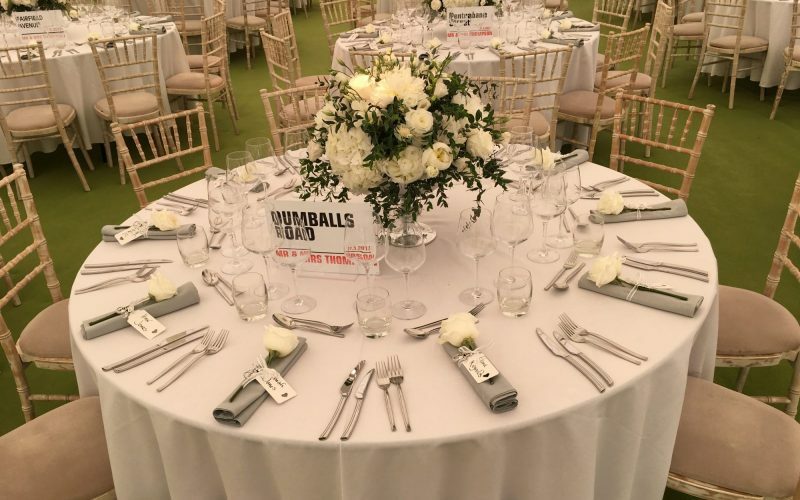 A luxury toilet trailer was placed to the rear of the marquee. 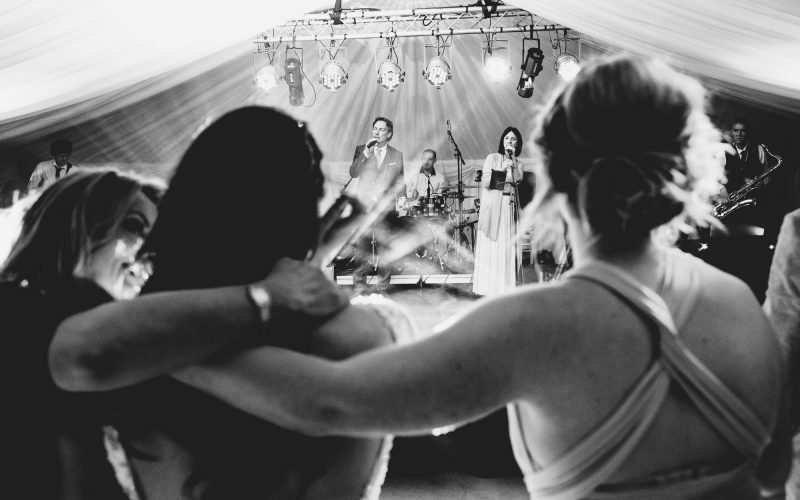 Photographs courtesy of James Rouse Photography. 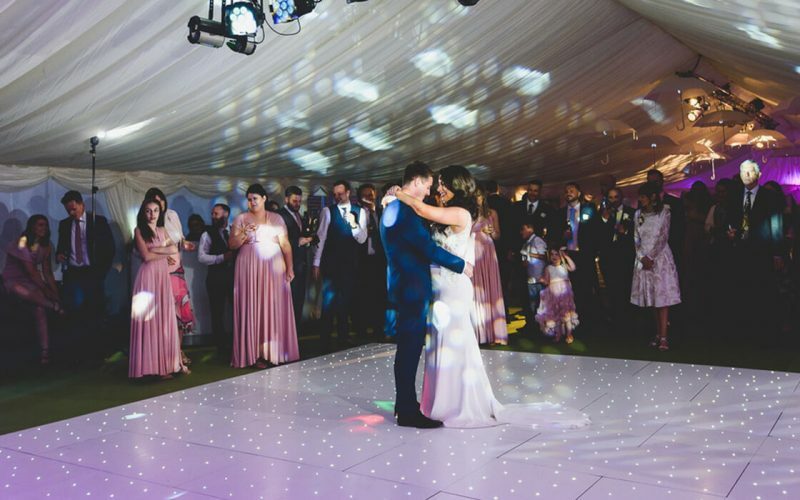 "Lulu marquees are one of the rare companies that I can wholly recommend, they did a party for us a year ago and after that we knew we wanted them for our daughters wedding, obviously this is one day where everything has to be perfect and it was. Mike is knowledgable and professional and takes care of every detail. 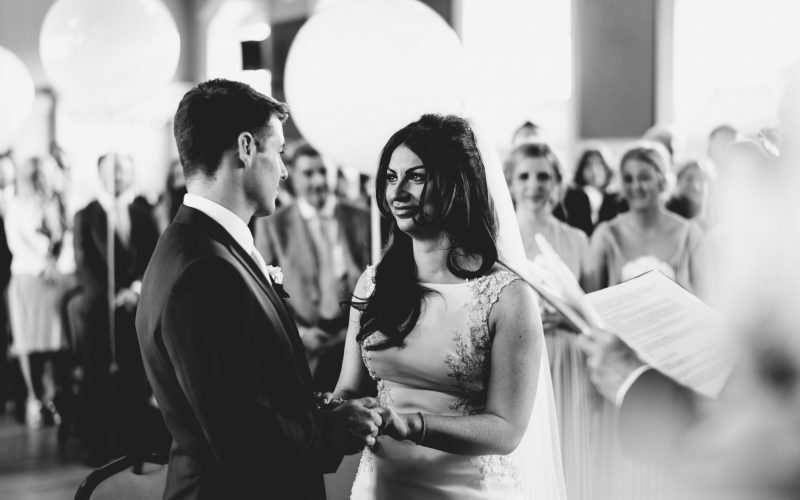 We wondered how we organise the actual day, the wedding was at our home but we wanted to enjoy it too! 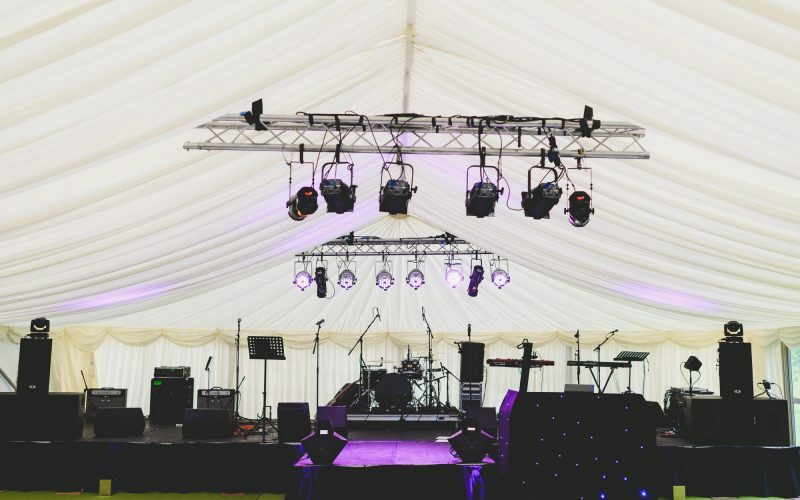 This is where Tracy steps in, she took control of everything, managing all the caterers, the deliveries, decorated the wedding car (actually washed it too)! Made sure everybody was where they should be. What a team, thanks for making this a fantastic day."